Richard Stoltzman Interview with Bruce Duffie . . . . .
For as popular as the clarinet is, and considering how many people learn to play it in their youth, there are not a lot of touring soloists on the instrument. At the top of the small heap, however, is Richard Stoltzman. He's been performing and making recordings for many years, and has elevated both music in general and his instrument in particular to every greater heights of artistry and appeal. Besides being a soloist in recitals and concertos, Stoltzman plays chamber music and is a member of TASHI. Along with violinist Ida Kavafian, cellist Fred Sherry, and pianist Peter Serkin, TAHSI was formed in 1973 to perform Messiaen's Quartet for the End of Time. The group's name means "good fortune" in Tibetan and sometimes, but not always, appears in all capital letters. Bruce Duffie: Thank you very much for seeing me after an exhausting day. Richard Stoltzman: Yeah, it was a long day today. BD: Do you find yourself playing too many concerts, and doing too many master classes and everything else? RS: No, no. Sometimes when you get to a particular place, things come up that you don't expect, like this. You have an itinerary that's typed up, and you do those things, but then things kind of expand from there. BD: Is that a good thing that they always expand? BD: Well, how much of your life do you spend propagandizing the clarinet and its literature, and how much do you reserve for personal life? RS: Well, I really don't think "propagandizing" is the right word. I just have found that the clarinet seems to be my voice, so I try to raise my voice various places. It's not propaganda; it's just a realization that at least with music--certainly classical music, anyway--that people aren't really reached unless they hear, in person, the sound of the particular artist. They can have lots of records, and it's great to have collections and all that, but I don't think people usually become completely part of an artist's life until they actually hear the person. And then they are usually changed after that. BD: Do they appreciate the records more after hearing you live? RS: Maybe. I don't ask them about that, but I've had countless times when people have said, "You know, I have records, but it's just not the same." Or some will say, "I don't have any, but now I'm going to." Either way the records play a part, but I guess there are still people who only make records, and don't even think about going out and performing, but I just feel like it's the only way to really reach people. BD: Do you play differently in front of a microphone than you do in front of a live crowd? RS: Mmmmmm not necessarily, but I think that each time you play, you play differently. If it happens to be in front of a microphone that's one thing, and then the next day, if it's not in front of a microphone it's still different. You can't play the same. Well, I mean, I don't think anybody really can. BD: Do you strive to play the same, or do you strive to play differently? BD: That's just the way it comes out. RS: Yeah, it's just because you're not the same person as you were the day before, and you're also almost always in a different environment. There's very few people that get to do every concert in the same hall. or even do every record in the same studio, with the same microphones and the same engineers. There's so many variables. Basically you don't have to worry about playing the same; it's just not gonna be the same. BD: But you wouldn't want it to be the same. RS: Right! But you do want it to be better, all the time. BD: Do you find that you are, day by day, getting better and better? RS: [In a facetiously wistful, nostalgic tone] In every way. RS: No; not necessarily. I feel that I'm getting more mature. I don't know if that's better, but I feel like I'm also thinking more about how I play, in terms of the music being the most important thing and my particular pride in my performance being secondary, a little bit. But as I keep practicing, I worry less that I may have slight smudges, or something, or whatever. I worry less about that, and I concern myself more with being honest in the music. BD: Now are you most concerned about the sound that is coming out, or is it the meaning behind the sound? RS: The sound is the meaning for most people. I don't think there are a lotta listeners who listen to the architecture and the compositional integrity and structure, and so on. Certainly in a hall, anyway, people come basically out of the "real world," or anyway, the non-music world, and then they enter the music world, the closed kind of world where sounds are performed in a kind of organized beauty, and then they interpret those sounds in whatever ways they're able to. But I think the sound is the essence of it. I know from just talking to people, that they've gone to concerts where they have no idea, really, what the music is about, but they've been touched by it. BD: Is music supposed to be about something? RS: No, no, no. They don't know, perhaps, that it's a sonata form, or that the raga is played on certain occasions in the evening, or something like that. They don't really know those things. That's the power of the music, you know, that it does that no matter what. I think every musician knows that. The structure is only there to be used as a tool, but it doesn't give you the meaning. BD: Does your idea of the meaning change as you grow and mature? RS: Probably. Yeah. But I don't try to hang on to it too much, because I think "over-meaningful" performances are kind of a little bit purple prose. There's a danger in getting so caught up in your analysis or your awareness of structure that you forget about just the innocence of why you wanted to play music in the first place, and why people mostly wanna listen. BD: Okay, then, why did you want to play music in the first place? RS: Because of how much pleasure it gave people. BD: Does it also give pleasure to you while you're playing it? RS: To a certain degree, but I'm more sort of the caretaker. If you let yourself just get totally caught up in it to the point where you're not really doing a service to the music, then you've probably gone too far. I think it's very important to feel involved, but you have to be involved on a lotta different levels when you're performing the music. A listener can basically concentrate on whatever level he or she wants, but they don't have to try to hang on to everything, whereas, I think, as a performer, you do. BD: You can't cry, but you make the audience cry. That's what they tell the opera singers. RS: Yeah, that's it in a crude way. You're working with your heart and your breath, and trying to control that in a way that will make the music the most expressive possible. But if you get into just expressing without remembering that you need a breath at this phrase point, and that it needs to be taken at a certain pace, and that you have a certain number of bars in which to create this phrase, and you forget about that 'cause you're just [breathes heavily, as if swooning in an overly romantic way] you know, into it. A lot of it has to do with just being a performer who breathes. There's a different way of playing, I think, sometimes, for performers who don't send the music out on their breath. I think they approach music differently. BD: So it's different for a string player or a keyboard artist. RS: Must be. It must be. I know people breathe. I've seen pianists and violinists breathe with their music, and pianists sing the phrases while they're playing. So they're aware of it, but it's not quite the same real one-on-one kinda direct relationship that you have with the clarinet or flute. You breathe in and out in order for the sound to be created at all. That's something that doesn't relate as directly for a person on a violin or piano. BD: Does that make the clarinet a little more human? RS: Of course. It makes any wind instrument the most human, in a way, because, I think that people are hearing your breath as much as they're hearing anything. Of course, it's being accompanied by the vibrations of the reed, so what you're hearing is a tone. Scientifically, the molecules have been activated with your breath going through the instrument into the hall, pushing the air into people's eardrums. That's what they're getting. BD: [In deadpan manner] So the music really can be the massage. RS: [Thinks for a moment, then chuckles.] That's very clever. BD: From this huge and expanding repertoire for the clarinet, how do you choose which pieces you'll play and which pieces you'll set aside? RS: I don't always choose it, somebody else chooses it. I can say, "Well, I wanna play this piece," but if an orchestra doesn't wanna learn it, or a conductor doesn't wanna learn it, then I have to have a second and a third, and a fourth and a fifth choice. And you set up ideal ways of having space between hard pieces so that you get chances to learn them, but then things don't work out. Suddenly somebody's not available, so whatever you're gonna do has to be done absolutely smack-dab with something else. RS: And you end up like I've had this year... [exhales, as if from exhaustion] right on the heels of other things. In one three-week period it was this particular slot 'cause for Yo-Yo [Ma], it was the only time he could do this recording, so Yo-Yo and Manny [Ax] and I did a trio record, and then the very next day I went and recorded with the London Symphony in Abbey Road Studio, half of the Gershwin-Copland-Bernstein record. And then, it sounds really totally crazy, the next day after that I had to go to Berlin and record three new concertos with Lukas Foss. It was fun in a way, but it wasn't the way it'd been planned at all. The Gershwin-Copland thing was going to be much earlier in the year, and the Berlin thing was separated. So it was gonna be a perfect amount of time for me to work on the new pieces and get them ready, and then suddenly this was the only time that Yo-Yo could be there, so boom-boom-boom, and everything's all stuck together suddenly. BD: I assume that's just simply your professionalism, though, being able to do what you're called upon to do. BD: Would that have been particularly better if you had had more time, or would it just have felt a little easier? RS: Oh, it would've felt easier, but it wouldn't have been better, because that's one thing artists do very well, is play under tremendous pressure. They hate it, but they do great. That happens lots. BD: What are new concerti on that record? RS: One by Lukas Foss, one by Einar Englund [(1916-1999), born in Sweden but a Finnish composer]... He's written tons of pieces which I didn't even know about until they asked me to do it. The Helsinki Festival commissioned this piece. I didn't know him, so they sent me a box of his CDs. I was pretty overwhelmed. And then a piece by William Thomas McKinley, his Concerto no. 2. 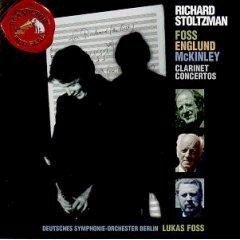 We did it in Berlin and Foss conducted. It was great to have the composer working on his piece, and also the other composers were there. So for me it was a wonderful week of having all of the composers there, meeting each other and talking, hearing their works and giving comments. The orchestra played, I'm sure, a thousand times better because they were playing for a man who was right there in front of them, and they saw the other composers right there listening. They knew that it was a kind of historic thing in the sense that they had to be true to the music, because the men who had created it were standing right there. It was good! BD: Would a Mozart piece be better if Wolfgang could actually stand right there? RS: Sure! He would inspire the musicians. Can you imagine if you were playing a phrase of Mozart and there he was? This beautiful phrase that you were playing had been created by a person who was there in flesh and blood. Can you imagine? You can read the accounts of when the Clarinet Quintet of Brahms was played for the first time. He was sitting in a chair, and the musicians fell down on their knees. I'm sure this was not a melodramatic dramatization. They fell down on their knees in front of him and cried. I'm sure! I mean, you just would, you would. When the composers are dead, they become a little bit sort of removed and deified, and you stop thinking of them. You can read stories about their human foibles, but in classical music especially, I think you still tend to kind of put them up a little bit further and removed. But if they're right in the room with you, and you've played their music, it's such an electrifying feeling that you just rise way beyond. I know for sure. It happened with the TASHI Group when we played for Messiaen. No question. We played way beyond what we'd done just because there he was, listening. He wasn't intimidating or even necessarily super-inspiring; it was just that he was there. The guy who had written the piece was right there in the room. And I think that's a huge part of making contemporary music. About six weeks ago I did six new concertos with the Warsaw Philharmonic. RS: A recording with the conductor George Manahan. The Warsaw Philharmonic is terrific. I think they would've played great no matter what, but having all the composers there, listening... Some of them didn't even much comment, but when you know that the creator is in your midst, it just strikes a different kind of chord in your body, and you want to really do something. BD: You've done quite a number of new concerti and new works involving clarinet. Do you try to get with these composers as many times as you can? BD: When you commission a piece, what do you ask them? Do you just say, "Write me a piece," or do you try to help them a little bit? RS: Nope. "Just write me a piece." BD: Are you ever surprised by what you see on the page? RS: Sure! But I don't want to tell them what to write. That's why I ask them to write. It's not my place to tell 'em what to write. If I did, then what's the point? I might as well do it myself. You don't want them to write for you; you want them to write for some fantastic ideal. You want them to go beyond anything ever, you know? I think one of the great things about being involved in four pieces from Toru Takemitsu [Quatrain, cl, vn, vc, pf, orch (1975); Quatrain II, cl, vn, vc, pf (1977); Fantasma/Cantos, cl, orch (1991), and Herbstlied, cl, str qt (1993) (transcription of Tchaikovsky)], the last one, which I'm gonna play for the first time in Japan on Sunday, is the fact that I've known him over twenty years and he knows me very well. He knows my sound and all the ways I play, and yet he hasn't asked me anything about, "Well, could you play this kind of thing? Would you be able to do this or that?" He doesn't ask me; he doesn't try to write something that will be necessarily perfect for the instrument; he just writes out of a kind of a soul of creativity, knowing me, but not placating me, or not trying to write a piece that only I can play! That's the worst thing. If you commission a piece, and then it turns out that the composer is so directed on you that you're the only person who can do it, then it never becomes a repertoire piece, and it dies. BD: But you have to put your own personal stamp on it at least at the first performance. RS: Oh, yeah! Oh, of course! For instance, Lukas Foss said, "I wrote this for you because I thought of you, and everything in there is because of you." And that's great! But still, you want the piece to have a life beyond your interpretation. BD: Is it then your responsibility to perhaps give it a second and third and fourth presentation? RS: Well, I don't know; I try. Certainly, with the Takemitsu I've played it many times now, and what's very exciting is, after having recorded it, I feel that I'm still finding lots of new information, new angles to get into the music, and that's always a good sign with a piece of music. You can rethink phrases, tempos, almost anything, and find that another attitude towards the piece stands up, and perhaps changes the next part of the piece. That's always really great, and that's a good sign of a major work, or at least a significant work, I would say. BD: You obviously rehearse all of these things. Do you make discoveries even as you're playing them in performance? RS: Once in a while. That's not as quite as dramatic. BD: I just wondered. This is a question I usually ask conductors, but I'll ask it of a performer: is all your work done in rehearsal, or do you leave something for that spark of the evening? RS: Especially with contemporary music, you never have enough rehearsal time to get everything done. So there's always gonna be more stuff that happens in the performance. That's just a given. I think with jazz performances, there's a necessity to not over-rehearse so that there's plenty of room for the spontaneous gesture and also maybe for change in the structure of the piece. With classical contemporary music, I think I get more and more out of performances as I play more and more the same piece. Then I start really feeling that there is... It's sort of ironic: the more I play a new work, the more I feel that I can be free with it and listen and find new things. Whereas I think with a jazz performance, it's more that you don't go for the repetition of the same thing; you go for a completely new kind of leaping into the piece every time, and not thinking, "Now I'm going to do it; when I get on the stage I'm going to try to do this, and going to try to do that, and I'm gonna go from here to there." You really try your best not to plan yourself. BD: Does playing so much jazz help you with the classical repertoire? BD: Turn it around: Does playing so much classical help you with the jazz repertoire? RS: I think so because there's a spontaneity in jazz that's very useful in contemporary music, or any kind of classical music. I guess I'd say a kind of love of refinement and of the intricacies of form can kinda well over into jazz performances. BD: You like being this kind of crossover artist, to do one and the other? RS: Well, I'm not really a crossover artist; I just play both kinds of music. But I've been doin' it my whole life. I started off my first little recital in fourth grade was something out of Everybody's 100 Favorite Classical Tunes. I think it was Rimsky-Korsakov Hymn to the Sun [from the opera Zolotoy petushok (The Golden Cockerel) ], and then my teacher had written out two choruses of Hoagy Carmichael's Star Dust. In the second chorus he'd written out little embellishments. That was many, many, many, many years ago; there certainly wasn't any "crossover" word invented at that point. You know, "crossover" is just a kind of a commercial term. Mozart or Schubert or Brahms or Beethoven, people who are sensitive to the music of their day used the sounds and the chordings and the phrasings and the kinds of attitudes towards music in their own music. Bach used popular dance rhythms for his works, and Beethoven took pop tunes and made variations out of them. BD: One place it's a country dance, the other place it's the Eroica Variations. RS: Yeah. But you don't say that Beethoven was a "crossover" artist. BD: I assume that for them, music was music was music. Is it that way for you? BD: Is the music that you play, either the classical or the jazz, for everyone? RS: [Thinks for a moment] Well, it can be for anybody. That's the thing about music: you don't have to judge it, and you don't have to... If you want it to be for you, it can be, and if you don't want it to, you can close your ears up and not listen. Or you can just keep 'em open, and you may not know that the music's for you for a long time. BD: Well, you're not really closing your ears, you're closing your mind. RS: Yeah, okay, your mind. Your mind's ears, or whatever. But sometimes, you'll hear a piece of music and you say, "Well, this is not for me." I've talked to people who said, "Oh, no--jazz? No, no." Or the other way around, "Classical music? Oh, no, no." But then, later on at some point, something strikes them, and they like it, and they don't even know what it is. That's happened to me many times with people... many times. RS: Who knows? Certainly music is the most optimistic thing about the future. BD: I've never heard it put that way; I like that phrase. BD: Are you at the point in your career that you expect to be at this age? RS: Oh, I'm way, way, way, way, way beyond that. BD: Haven't you met and then reset the goals? RS: I couldn't possibly have had this high a goal. To do all this stuff that I'm doing? No way! [Chuckles] I've already done much more stuff than I ever thought I could possibly do, or ever dreamed of doing. I'm just continuing to play, and I'm just amazed that things happen. BD: Shouldn't they happen to you? RS: Well, if they do, it's certainly because I'm a very lucky person. I feel like I've certainly got my share--plenty more than. The first time I heard the Brahms Quintet, I didn't even know what it was. At the end of the performance I remember thinking, "Boy, if I could play this once before I die, that would be the greatest achievement of my life." BD: Now you've played it at least a dozen times. RS: [Thinks for a moment, then gets the joke, and laughs] A dozen times? A dozen times, yeah! BD: Let me ask about different instruments. You play the standard B-flat clarinet, and occasionally the A clarinet. BD: Do you ever get involved in the smaller instruments, or the larger instruments like the bass clarinet? RS: Only when it seems to be necessary for a particular piece, like the Hindemith Clarinet Quintet [Op. 30 (1923/54)] which uses E-flat clarinet for the third movement, so I've played that. The Steve Reich piece, New York Counterpoint [for amplified clarinet and tape, premiered in Avery Fisher Hall by Stoltzman in 1986] needed bass clarinet, so I have played that, and the Schoenberg Pierrot lunaire [(1912), for speaker, fl + pic, cl + b cl, vn + va, vc, pf], which also uses bass clarinet. But other than that, no. BD: Do you utilize the basset clarinet in the Mozart Concerto? RS: Um, 'cause I feel that there are people who are really doing that and doing it well. They are devoting their lives to making a kind of a statement with researching the instrument and getting historically accurate copies of the instruments. I think they should do that. I don't feel that I should just kind of nonchalantly, or as a dilettante, go in and play an instrument that other people have given their blood to. Anyway, from the people I talk to who come to concerts, I feel that I'm not doing an injustice to the music by just playing it on the instrument that I have. BD: In general, do you find playing clarinet fun? RS: [Thinks for a moment] "Fun" it's a good word to use, but I would say that it means something to me. It's meaningful to play. When I do it, I feel that I'm on the right path. It's a kind of a very high kind of fun. It's not jovial, rolling on the floor kind of fun. The fun I get out of playing is seeing people's faces as I make a tone on the instrument. I'm the only person who actually looks at the audience. The conductor has his back to the audience, and the orchestra's lookin' at the music, so basically I'm the only one that's standing out there just looking at everybody all the time. RS: What I really find the most fun is just watching all these people that I don't know. I have no idea why they've come in from the street, you know? They bought tickets, but there they are and I start playing sounds. It could be Mozart sounds, it could be Takemitsu, it could be Weber, McKinley, Brahms. It could be any of these sounds, but watching these sounds begin to change their facial muscles and their eyes and their postures, you just see people being suddenly--not suddenly, but gradually--shaped. I wouldn't necessarily say that's fun, but I guess that's what it is because that's what I really enjoy about it. BD: I wish you lots of continued success. RS: Well, thanks a lot. It's mostly just travel. BD: [Suggesting a more diplomatic wording] Slight errors. RS: ...as opposed to concerts that have been letter-perfect, and I've really played "well" in the sense of being technically flawless, and everything that I'd set out to do on the clarinet came out just like I wanted. I'm not putting those concerts down, but as a growing performer, I think you look more for the mistake that leads someplace, or the effort that caused the mistake, or the eruption into something not quite totally planned. Then you're in a new zone, which is very exciting for everybody. [Thinks for a moment] I remember when we did the premiere of Takemitsu's Quatrain with the Boston Symphony in Carnegie Hall with Seiji Ozawa conducting We'd played it already in Boston, at Symphony Hall, and everything was great. We'd even recorded it, so we were feeling pretty confident. Takemitsu came to the New York concert, and somehow, I just don't understand, everybody got lost at a certain place about ten minutes into the piece. Seiji didn't know where we were, we didn't know where we were, and the orchestra didn't know. For about an agonizing fifteen seconds or so, we were playing but none of it was right. None of it was the way it was supposed to be in the score. It was all like kind of just [waves hands in slow circular movements while making a humming sound] "Woooooo," in this kind of strange, strange world. Nobody was aware of it, of course, except us and Takemitsu. We were so embarrassed when he came backstage; we didn't even want to see him. It was awful. Carnegie Hall??? Oh, terrible! Well, he came back and he said, [in a very mild, gentle tone of voice] "Thank you so much for playing my piece. Thank you so much. Thank you, thank you." And we're just saying, "Oh, we're so sorry." And he said, [wistfully] "You know the place where you got lost?" "Yes, yes, yes, we know!" He said, [in a contemplative, almost reverential tone of voice] "I wish I could write music like that." I think what he meant was to create something that was so at the moment that even the creator didn't know about. It was just like blossoming on its own. He's a very enigmatic guy. He's the guy who said, "My dream is to write music as strong as silence." BD: I met Takemitsu and interviewed him a few years ago when he was here in Chicago. RS: His music is amazing stuff. Fantasma/Cantos is really beautiful. BD: One of my friends in the Chicago Symphony calls it a "train wreck" when things go badly wrong. RS: Yes. Well, see, that's the way a performer sometimes looks at it. But this was a revelation to me to have this great composer, after we just totally, I thought, screwed it up, say... He didn't exactly compliment us, but he said, "That's okay. I'd like to write music like that." BD: Well, in a piece running about 17 minutes, to have 15 seconds of it be sort of smashed, you've got to forget about that 15 seconds and remember the other 16:45. RS: Oh, yeah! But, you know, performers don't work that way. They always dwell on anything that was imperfect, or not right. That's just the way performers are. BD: Thank you so much for speaking with me at this late hour. You've been most generous. Richard Stoltzman's virtuosity, musicianship and sheer personal magnetism have catapulted him to the highest ranks of international acclaim, making him one of today's most sought-after concert artists. As a soloist with more than a hundred orchestras, a captivating recitalist and chamber music performer, and an innovative jazz artist, Stoltzman has defied categorization, dazzling critics and audiences alike with his performances of all genres of music. Born in Omaha, Nebraska, the son of a jazz-playing railwayman, Richard Stoltzman spent his early years in San Francisco and then moved to Cincinnati. His musical education started with his father's saxophone sessions and informal church concerts. After high school in Cincinnati, Stoltzman entered Ohio State University as a double-major in music and mathematics. Stoltzman went on to earn a Master of Music degree at Yale University while studying with Keith Wilson, and later worked toward a doctoral degree with Kalmen Opperman at Columbia University. In 1967, he began what was to be a ten-year association with the Marlboro Music Festival in Vermont. Marlboro's focus on chamber music put him in direct contact with such musical luminaries as Rudolf Serkin, Pablo Casals and Marcel Moyse - artists who were to have a profound effect on the way Stoltzman regarded his music-making. Through musical relationships established there, he became a founding member of the chamber music group TASHI in 1973. 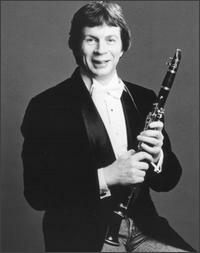 Since then, Stoltzman's unique way with the clarinet has earned him an international reputation as he has opened up possibilities for the instrument no one could have predicted, including presenting the first clarinet recitals in the histories of both the Hollywood Bowl and Carnegie Hall. In 1986, he became the first wind player to be awarded the Avery Fisher Prize, joining such other eminent recipients as Richard Goode and Yo-Yo Ma. 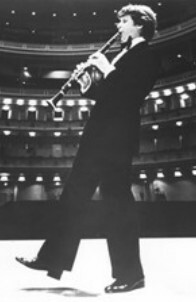 Hailed for doing for the clarinet what Rampal and Galway have done for the flute, Stoltzman has appeared as soloist with Levine and the New York Philharmonic, Dohnànyi and the Orchestra of La Scala, Chailly and the Berlin Radio Symphony, Leppard and the English Chamber Orchestra, and Eschenbach and Previn with the Pittsburgh Symphony. As a member of TASHI, he has premiered works by Takemitsu and Wuorinen with the Boston Symphony and the Cleveland Orchestra. His talents as a jazz performer as well as a classical artist, have been heard the world over. Stoltzman's recital at the Bayreuth Opera House caused a scandal for the local presenter, who had requested that the program include jazz - a precedent-shattering event for Wagner's opera house, but one that brought a cheering, capacity audience that demanded five encores. He has appeared twice at the innovative Tokyo Music Joy Festival, collaborating with Keith Jarrett, Chick Corea, Eddie Gomez, Wayne Shorter, Yuji Takahashi, and the New Japan Philharmonic. He has also appeared as "Artist of the Week" at the Edinburgh Festival, the Hong Kong Festival and Australia's Adelaide Festival, playing recitals, chamber music, and jazz concerts, including some late-night jazz at the Adelaide Festival Club. He opened the second century season of the Boston Pops in a gala concert with John Williams and blues singer Joe Williams, and was hailed for his Carnegie Hall recital with Woody Herman's Thundering Herd, with whom he toured as soloist for two seasons. Stoltzman recently performed a concert devoted to American jazz at the Evian International Music Festival - a first in the festival's history. Other jazz or pop greats with whom he has performed or recorded include Mel Tormé, Claude Bolling, Spyro Gyro founder Jeremy Wall, Judy Collins, George Shearing, Gary Burton, Dave Samuels and the Canadian Brass and the King's Singers. Stoltzman's interest in new music is reflected in a continuing programme he has established to commission works for the clarinet. In 1990, he was approached by five major U.S. presenters - in New York, Boston, Washington, Ann Arbor and Houston, all members of the International Society of Performing Arts Administrators - to participate in a joint commission. 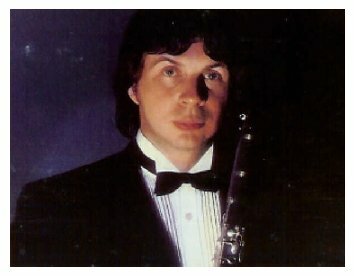 The composer chosen for "The ISPAA Commission" was Nicholas Thorne, whose new clarinet sonata Stoltzman premiered in Houston in September 1992. Between June 1994 and September 1995, he recorded twelve new concertos written for him with the Warsaw Philharmonic and conductor George Manahan and three others with Gerard Schwarz and the Seattle Symphony. 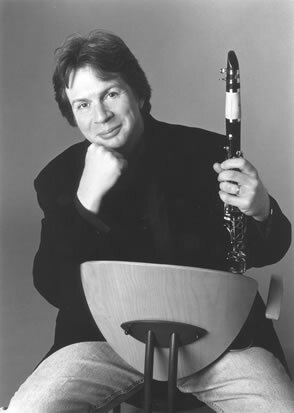 Additional works recently written for Stoltzman include a clarinet sonata by Timothy Greatbatch, commissioned by Pennsylvania State University and premiered there in 1990; a sonata by Clare Fischer, premiered in September 1992; and an unusual collaboration with the Lewitzky Dance Company, in which Stoltzman actually takes part in the choreography while performing the music. This unique project, commissioned by UCLA and Northeastern University and premiered during the 1990-91 season, was choreographed by Stoltzman's long-time friend Bella Lewitzky, to a new work by William Thomas McKinley, whose participation was made possible by a prestigious "Meet the Composer" grant. Other works written for Richard Stoltzman include Steve Reich's New York Counterpoint, and Toru Takemitsu's Fantasma/Cantos, a clarinet concerto commissioned by the BBC for BBC Wales Symphony and premiered in the USA in 1992 with Leonard Slatkin and the St. Louis Symphony. This concerto was also performed at the Kennedy Center and Carnegie Hall and was awarded the prestigious Grawemeyer Award in 1994 and received a 1995 Grammy nomination for Best Classical Composition. 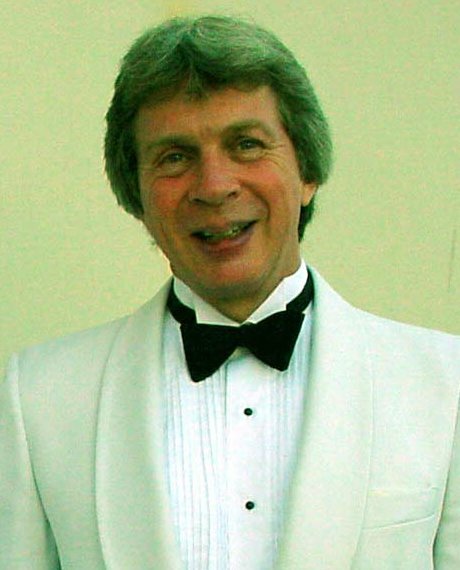 In August 1993, Stoltzman was featured in "CONCERTO", a six-part television series featuring host Dudley Moore, conductor Michael Tilson Thomas and the London Symphony Orchestra. CONCERTO, created by the producers of the widely-acclaimed 'ORCHESTRA' series featuring Moore and Sir Georg Solti, was aired over cable television on The Learning Channel and on England's prestigious Channel Four, and continues to be broadcast worldwide. The programme featuring Stoltzman has been praised by critics and audiences alike and was the recipient of an Emmy Award in the International Performing Arts category. This interview was held in Chicago on July 13, 1994. Portions were aired on WNIB (along with recordings) in 1997. It was transcribed in 2007 and posted on this website at that time.